Circa 1825 album including a sonnet penned by John Quincy Adams, 6th President of the United States. 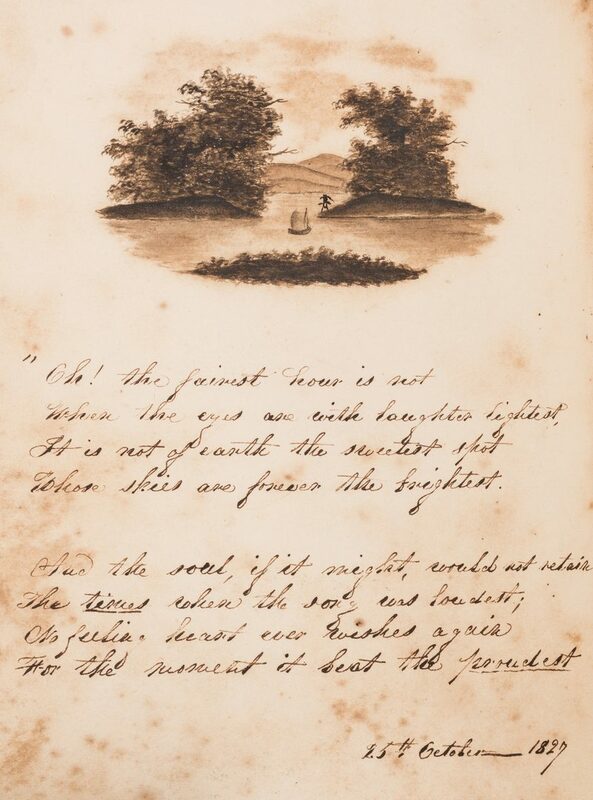 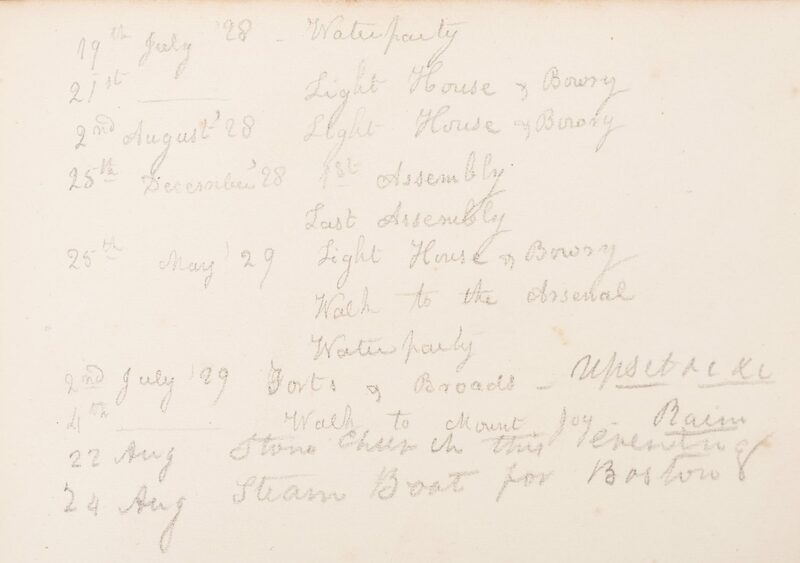 The album, containing several other handwritten poems, letters, and illustrations, belonged to Adams' sister in law, Ann Frances Harrod (1772-1845), wife of Thomas Boylston Adams (1772-1832). 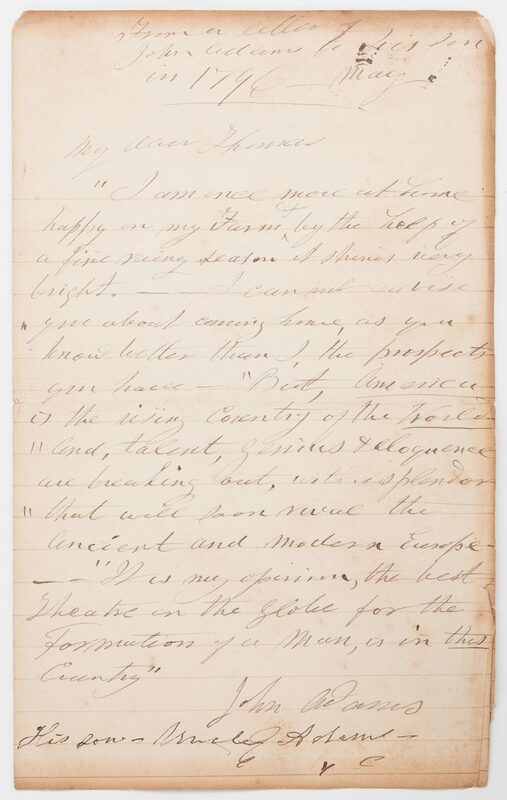 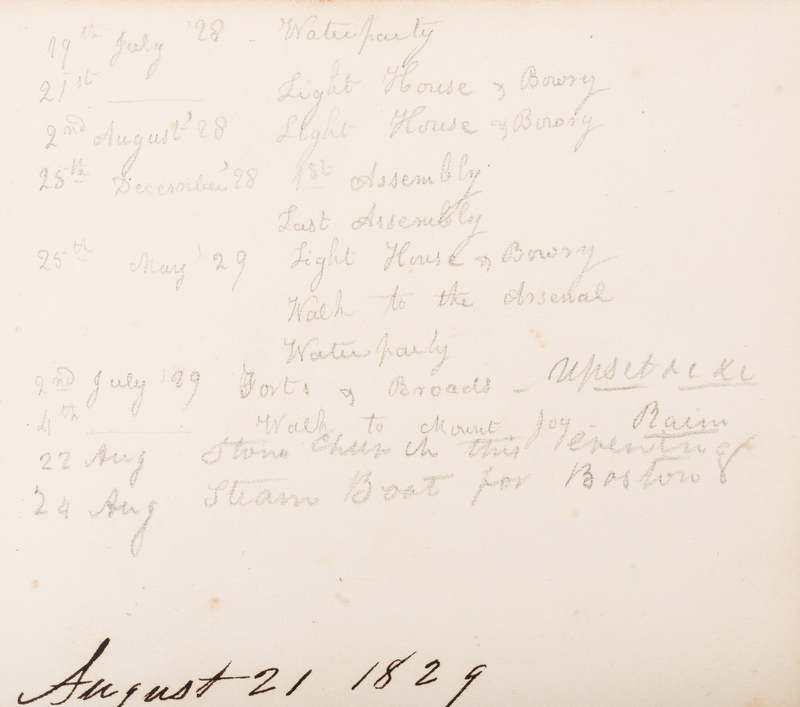 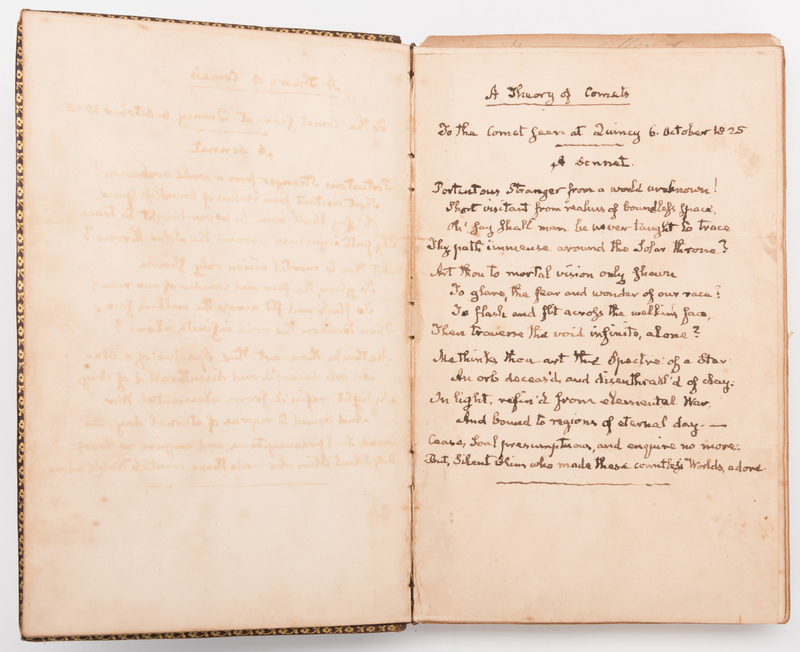 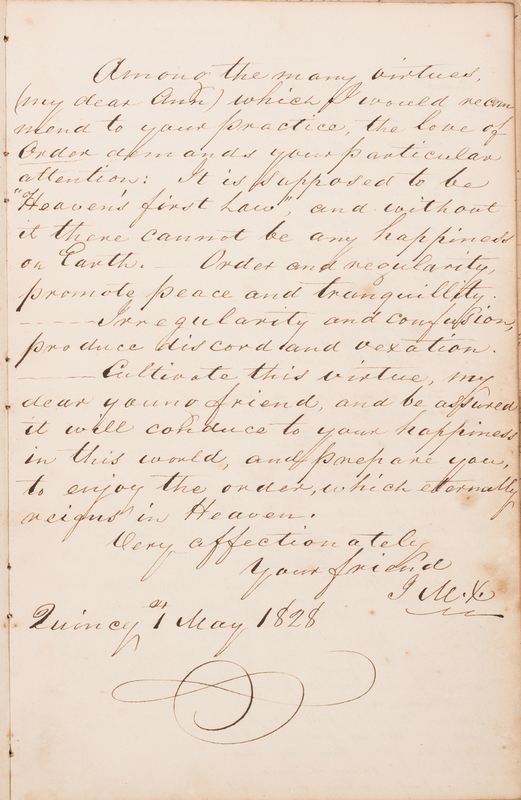 The possibly original sonnet, unsigned but in writing identical to samples of John Quincy Adams' handwriting, is titled "A Theory of Comets To the Comet Seen at Quincy 6. 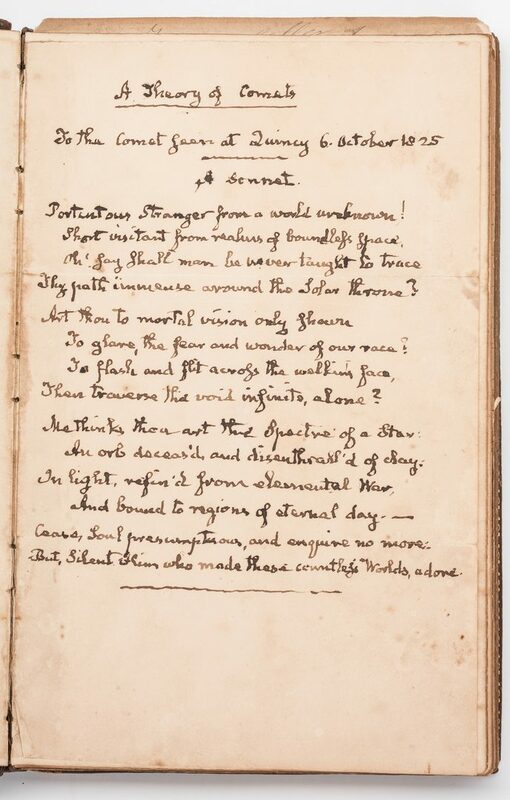 October 1825 / A Sonnet". 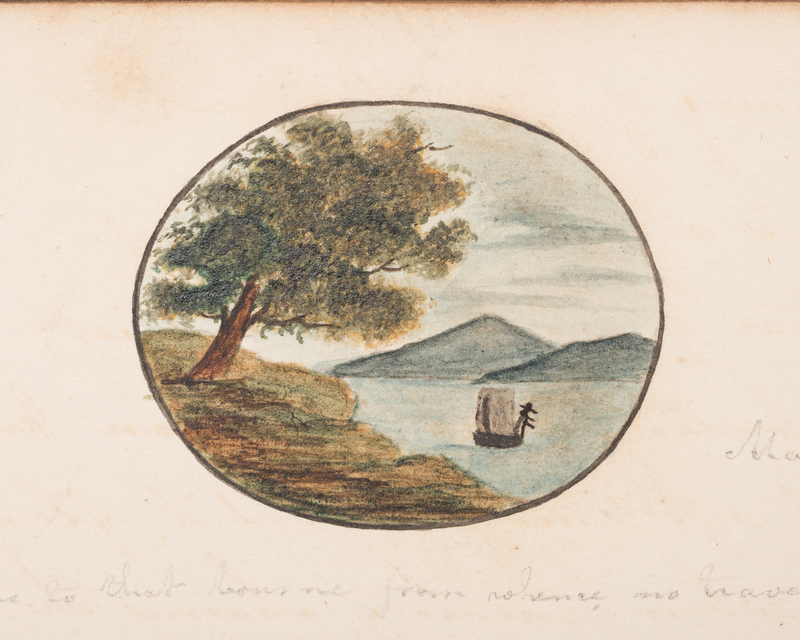 It reads "Portentous Stranger from a world unknown!/Short visitant from realms of bounle[s]s grace,/Oh! 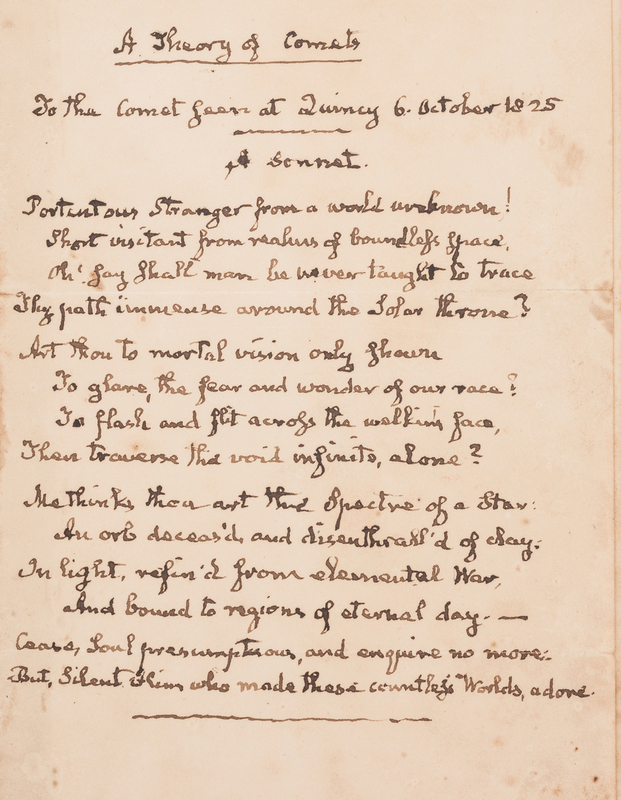 Say shall man be never taught to trace/Thy path immense around the Solar throne?/Art Thou to Mortal vision only shown/To glare, the fear and wonder of our race?/To flash and flit acro[s]s the walking pace,/Then traverse the void infinite, alone?/Me thinks thou art the Spectre of a Star:/An orb deceas'd, and disenthrall'd of day./In light, refin'd from elemental War,/And bound to regions of eternal day.–/Cease, Soul presumptuous, and enquire [sic] no more:/But, Silent Him who made these countle[s]s Worlds, adore.". 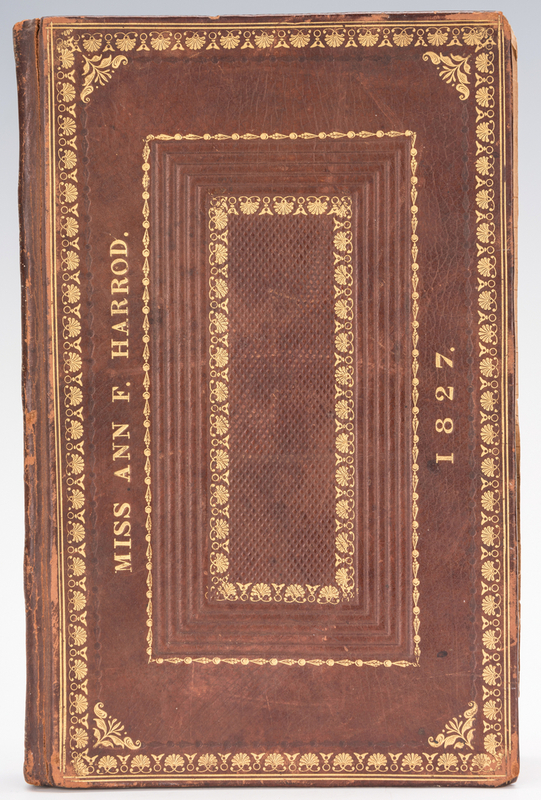 The album itself is octavo sized, hardbound with tooled brown leather cover with gilt pictorial covers and spine with gilt lettering to front cover, gilt edged paper. 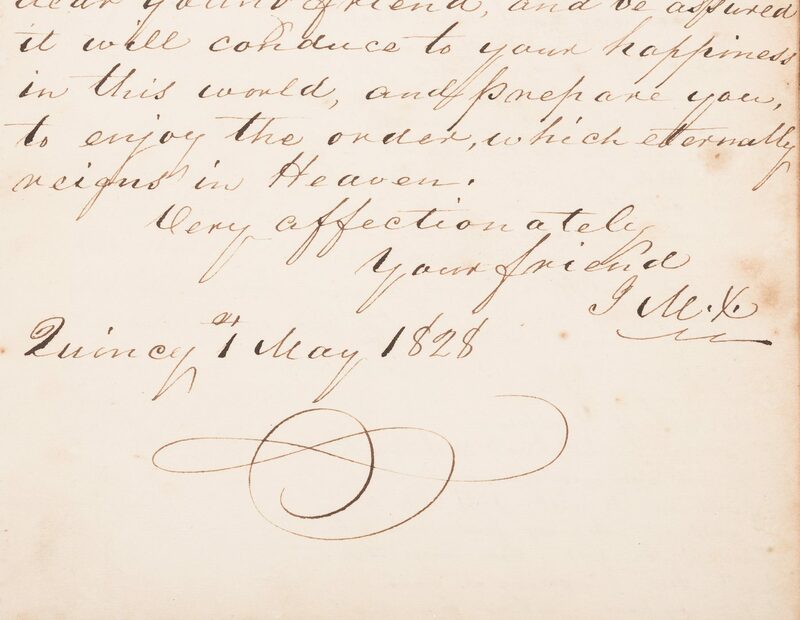 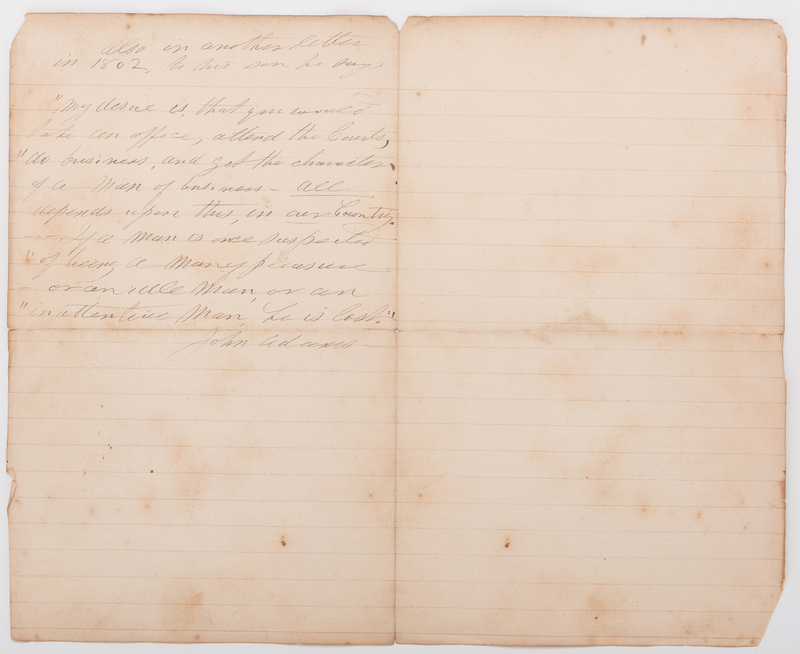 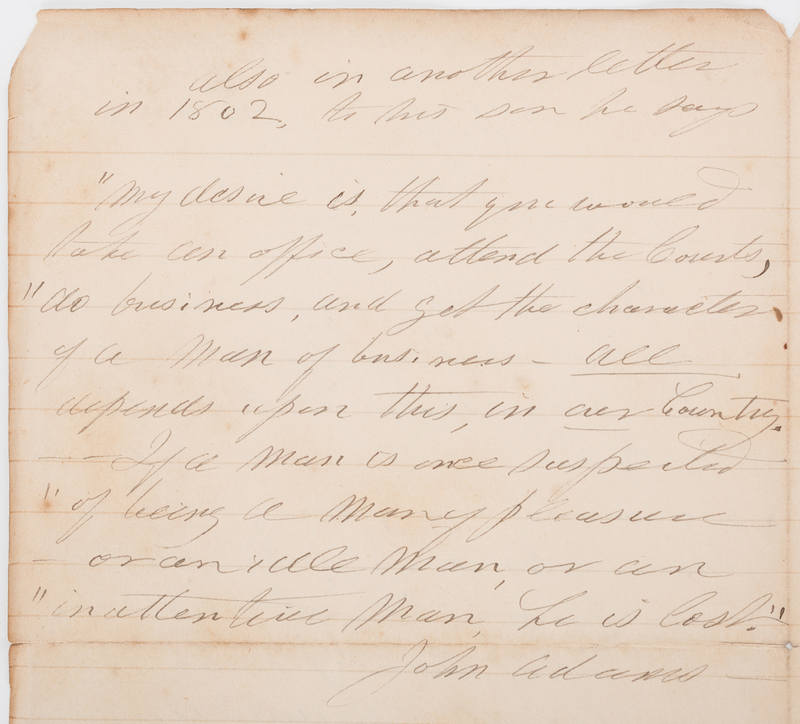 It also includes a Thomas Boylston Adams signature below a poem possibly written by Thomas and dated August 11, 1828 and copies of two letters on loose, lined notebook paper from John Adams to Thomas, one dated May 1796 and one dated 1802. 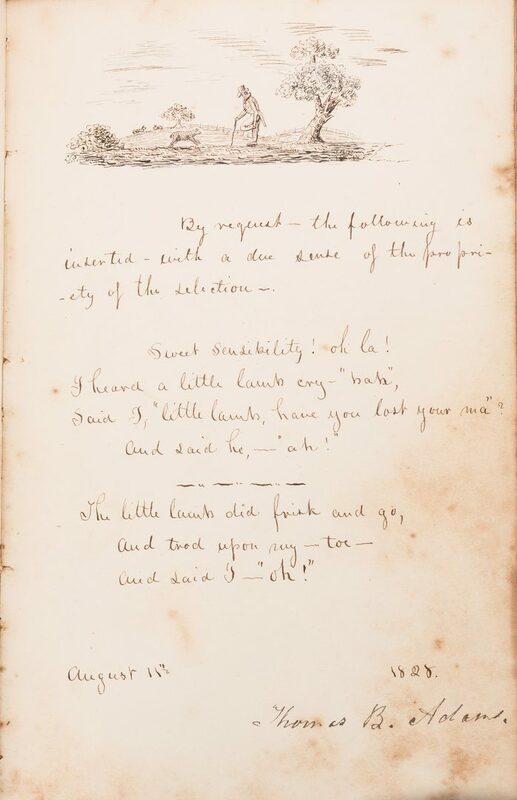 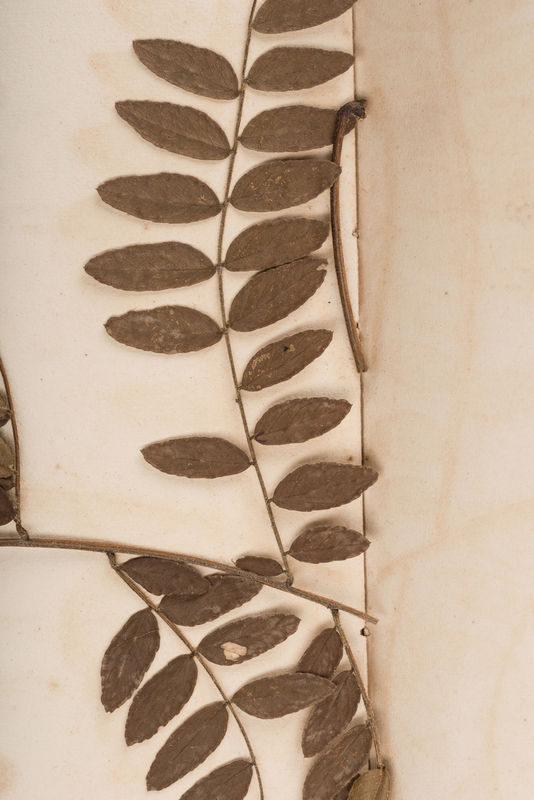 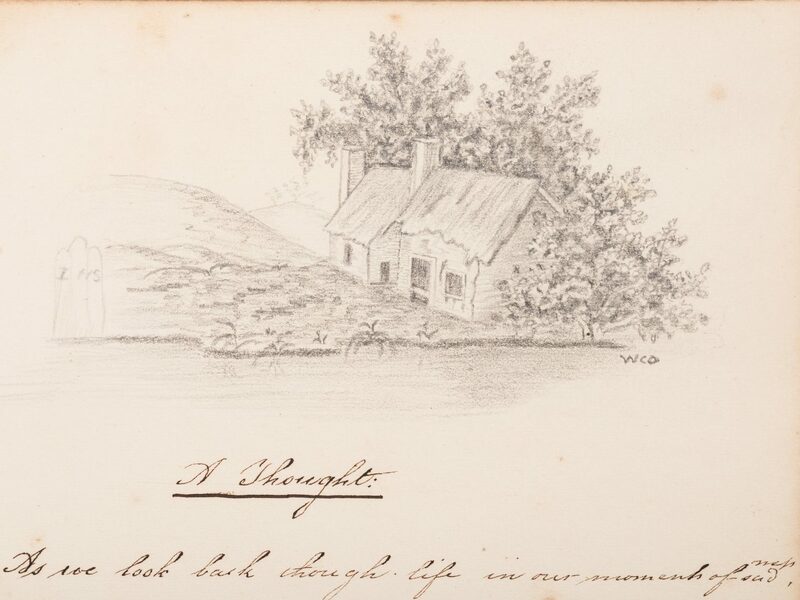 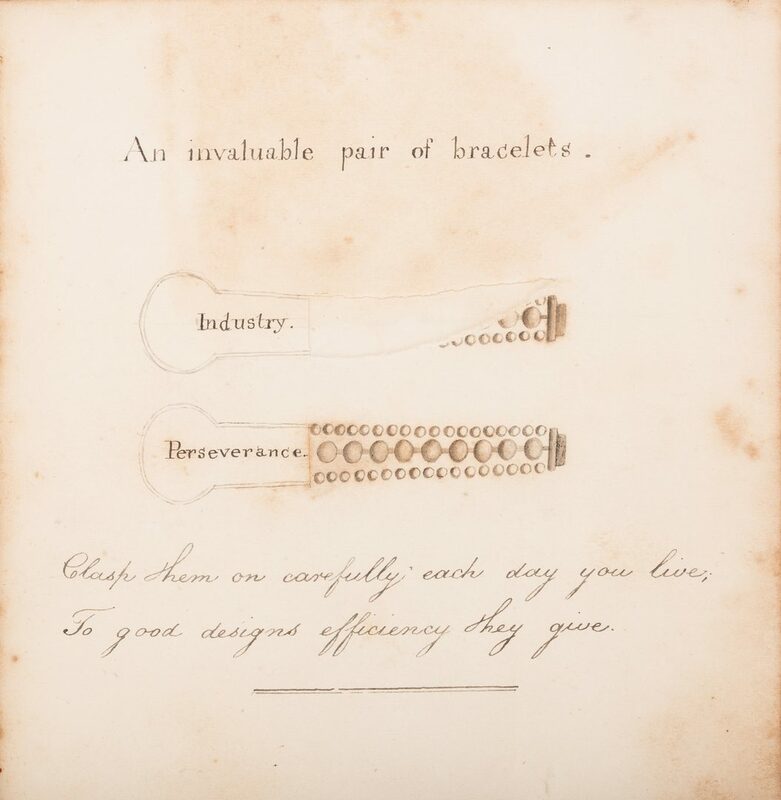 The majority of the pages are filled with poetry, letters, and illustrations by friends and family members of Ann's, often signed with monograms, circa 1820's. 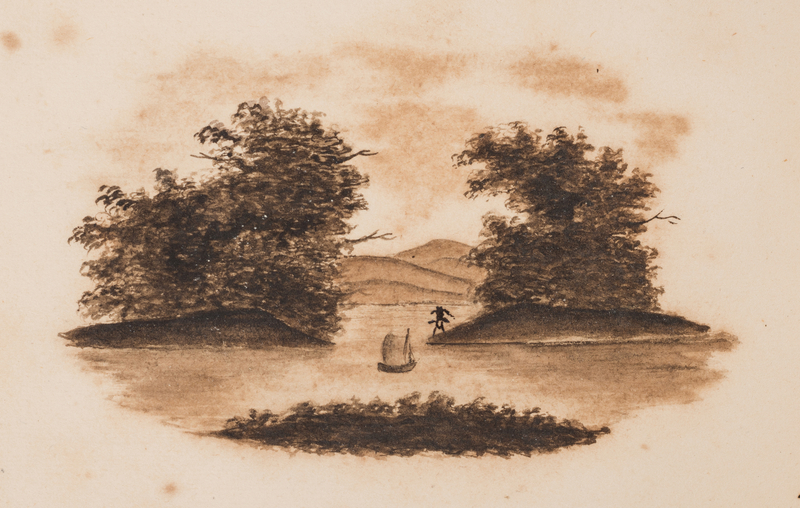 8 1/8" H x 5 1/4" W x 1 1/8" D. Biography: Ann Frances Harrod was born circa 1772/1774 in Haverhill, Norfolk, MA to Joseph Harrod and Ann [maiden name unknown]. 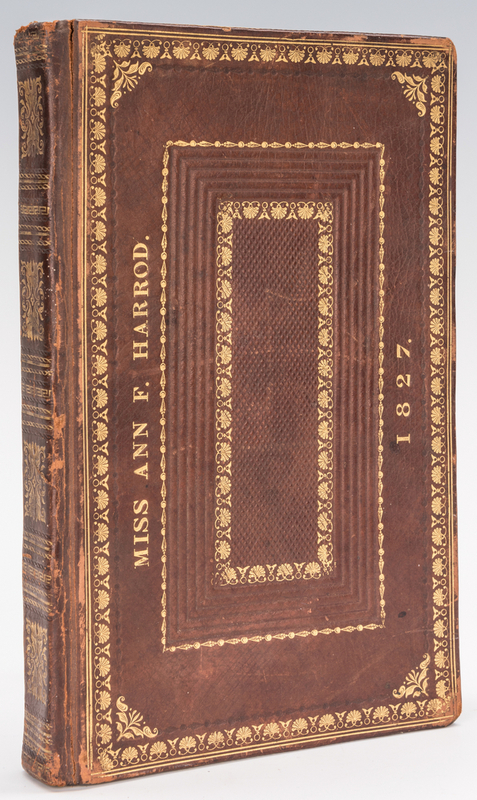 Ann Harrod married Thomas Boylston Adams (1772-1832), the third and youngest son of John and Abigail (Smith) Adams, and had 8 children. 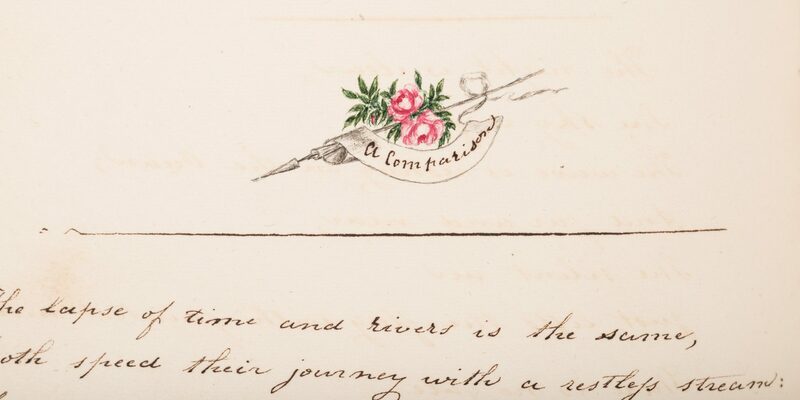 She passed away in Boston, MA. (source: https://www.ancestry.com/genealogy/records/ann-harrod_20281983). 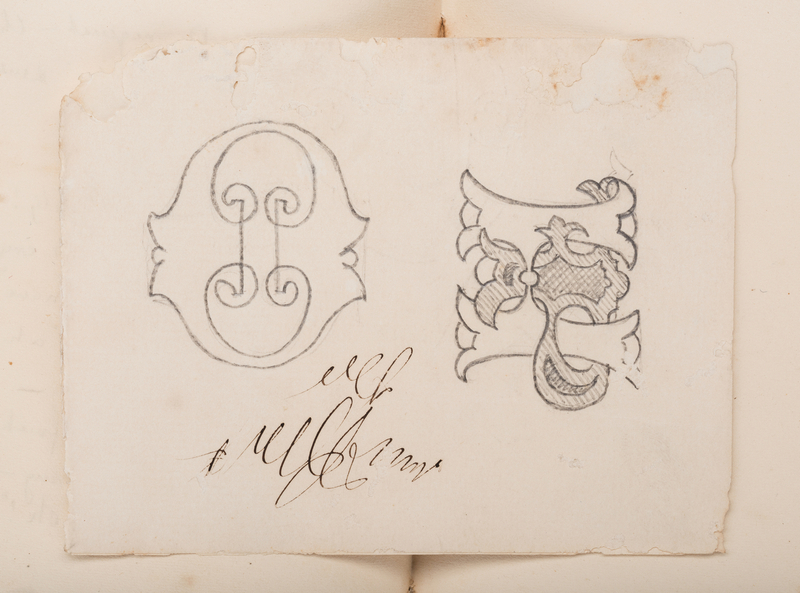 Provenance: The Estate of Charles Boyd Coleman, Jr., Chattanooga, TN. 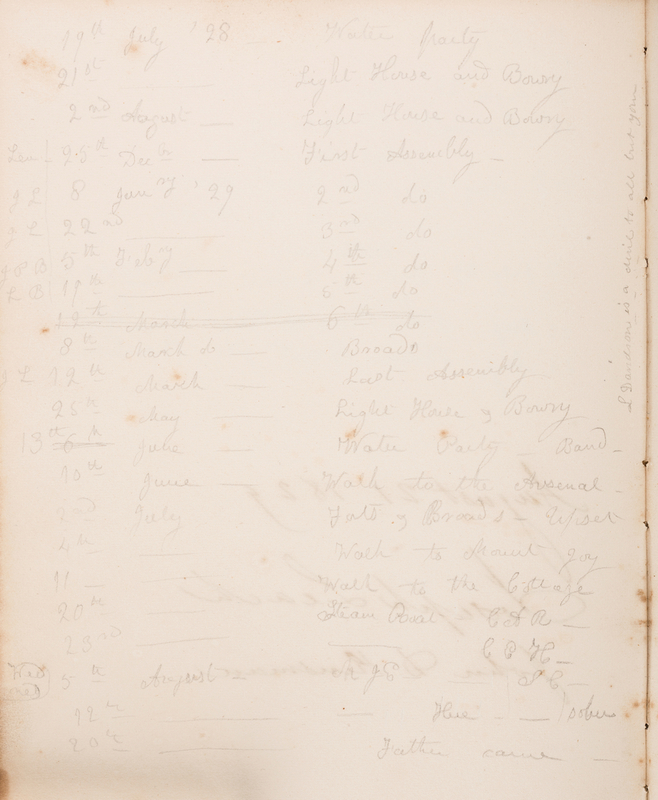 Descended in his family from Charles Harrod Boyd, grandson of Charles Harrod (1787-1870). Charles Harrod was the brother of Ann (Anna) Frances Harrod Adams (wife of Thomas Boylston Adams, 1772-1832). 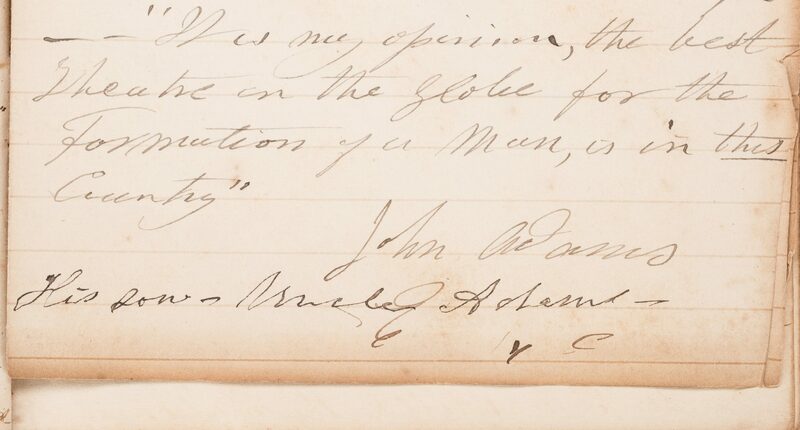 Note: Charles H. Boyd's wife, Annette Maria Dearborn Boyd, was the daughter of Greenleaf Dearborn (1786-1846) and great granddaughter of Maj. General Henry Dearborn (1751-1829) on her mother's side. 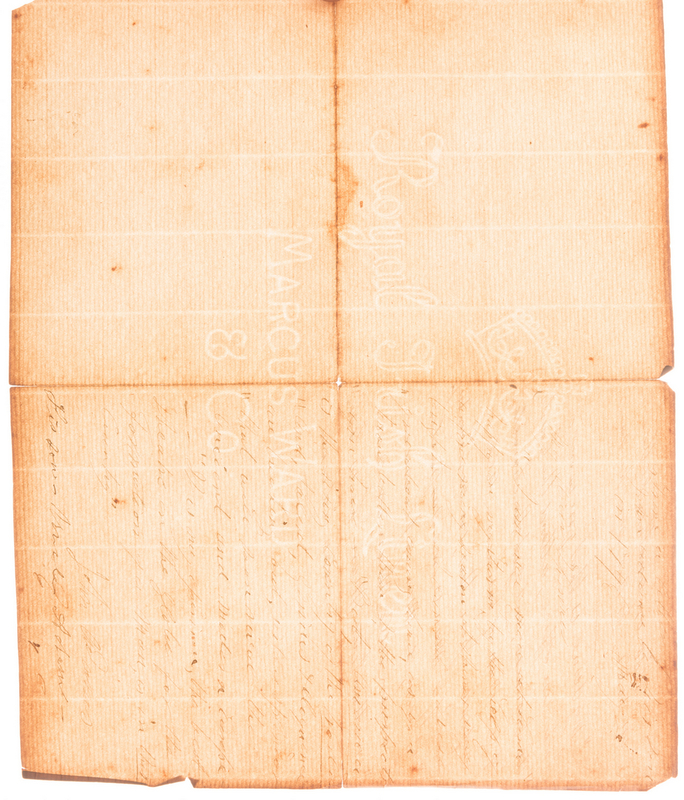 She and Charles Harrod Boyd had four children, including Julia Wingate Boyd, who married Lewis M. Coleman, Jr., Chattanooga, TN, a direct descendant of John Marshall (1755-1835). John Marshall was the Fourth Chief Justice of the United States and also served as Secretary of State under John Adams (1800-1801). 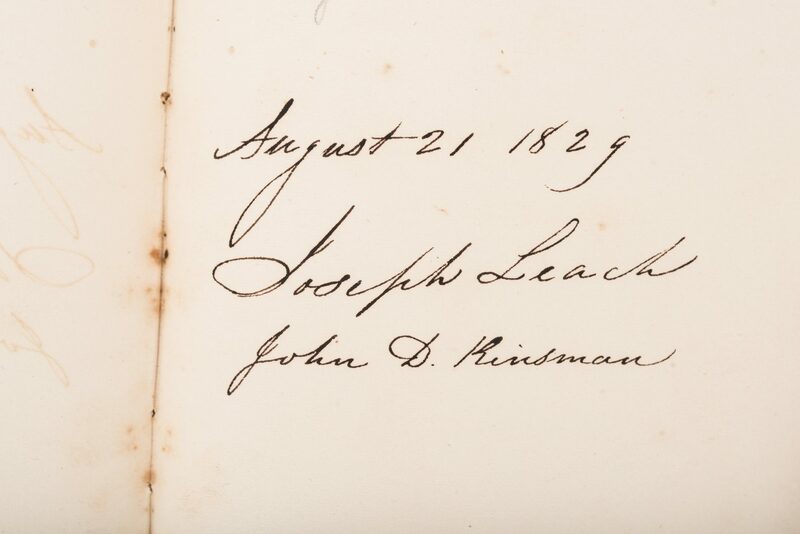 CONDITION: Album in overall good condition with normal shelf wear, corners bumped. Pages in overall good condition with foxing spots, areas of dampstaining, toning, to be expected from age. 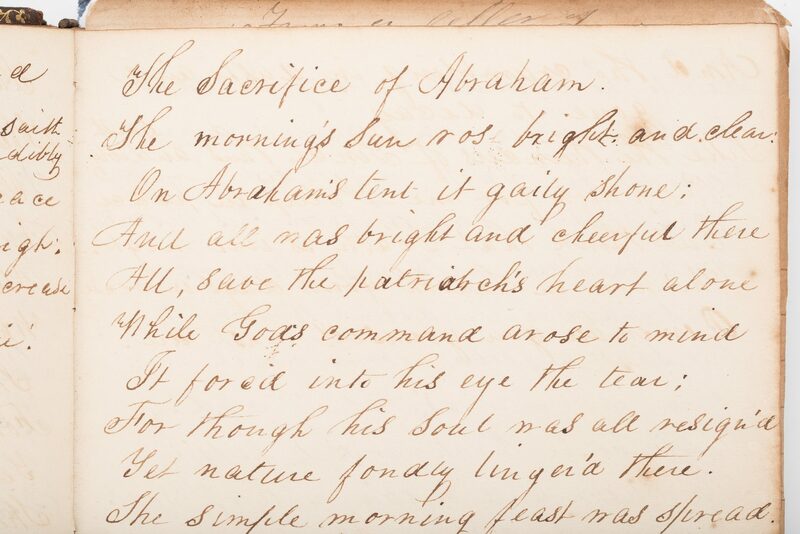 Poem attributed to John Quincy Adams in highly visible condition, slightly affected by foxing spots and areas of dampstaining with two tears, largest 3/4", to edges of fold lines. 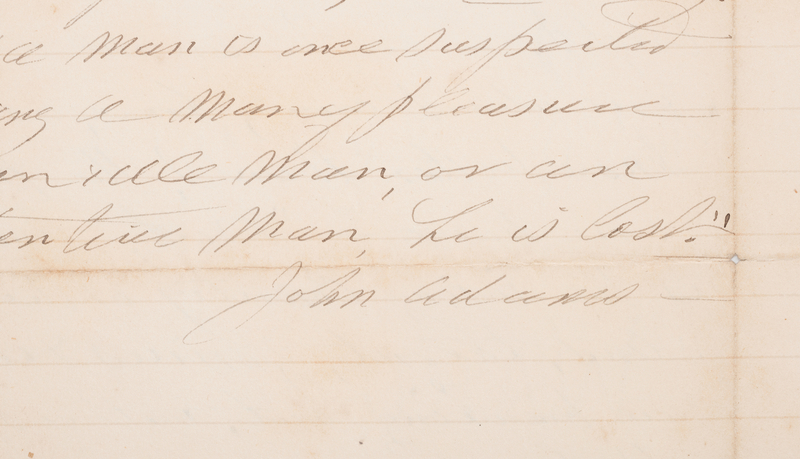 Poem was pasted to book, visible on next page, 1 1/2" area of separation from spine, bottom of J. Q. Adams poem. 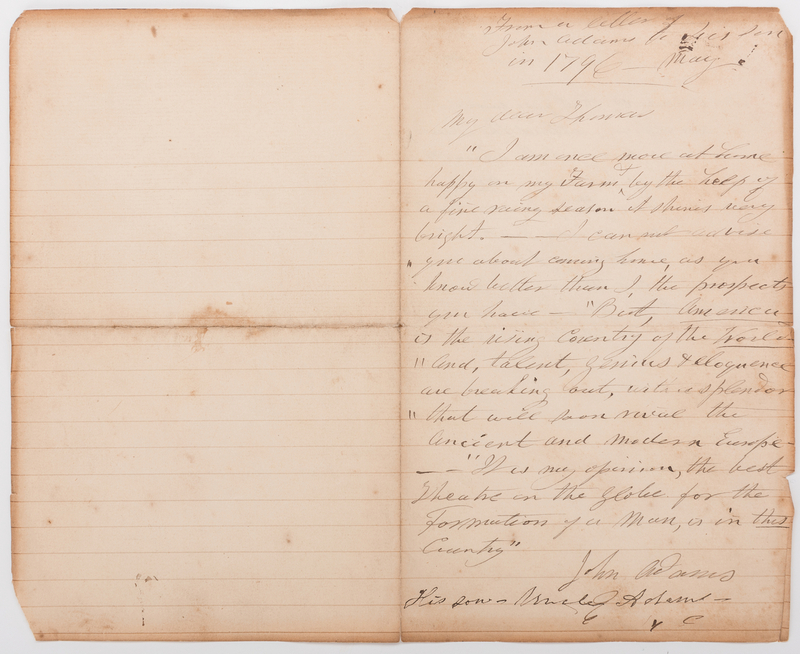 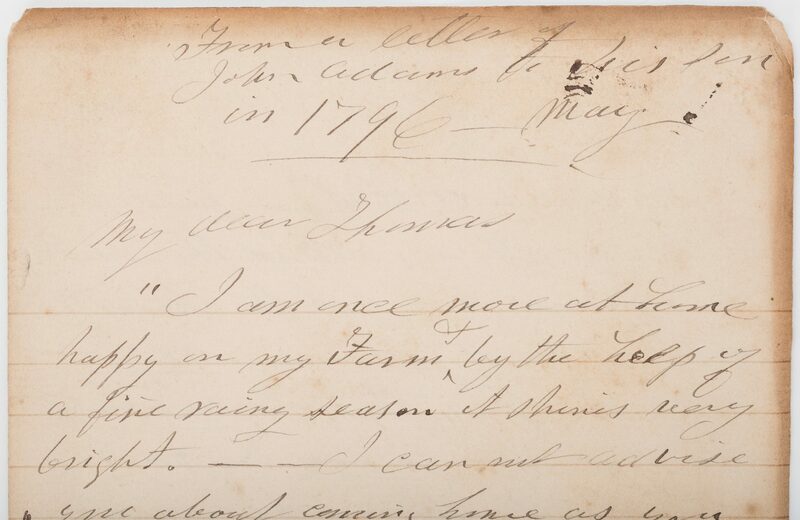 John Adams letter copies on loose, lined notebook paper, likely written after the contents of the book.